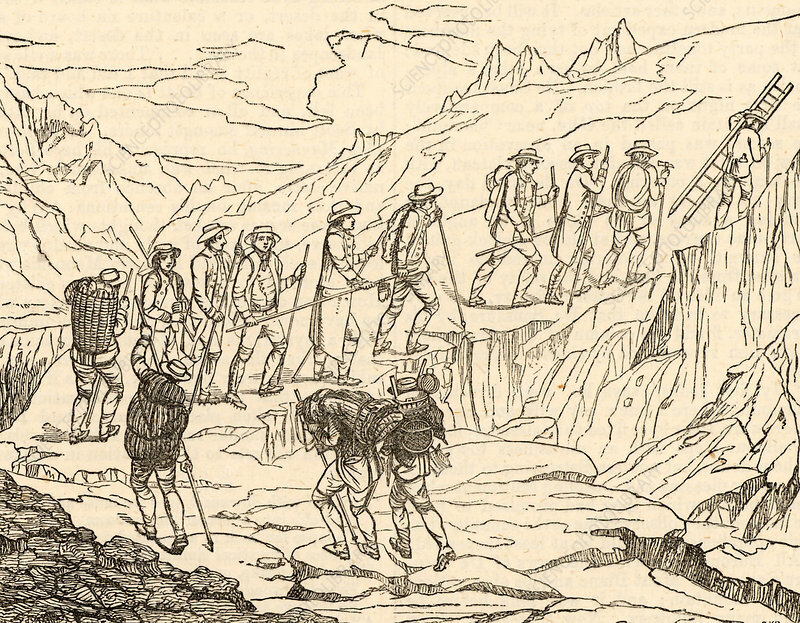 Henri-Benedict de Saussure (1740-1799) Swiss physicist, geologist and alpinist making his ascent of Mont Blanc, September 1787. This was the third successful ascent of Mont Blanc. Wood engraving c1850.